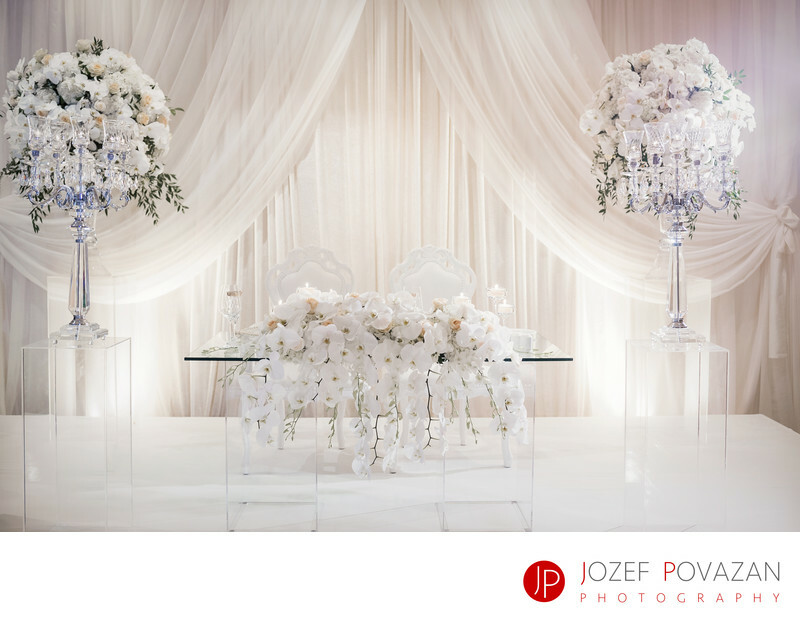 Sutton Place Hotel Wedding Amazing Floral Cantaloupe - Best Vancouver wedding photographer Jozef Povazan Photography studio. Sutton Place Hotel Wedding Amazing Floral Cantaloupe centrepieces with white orchids, high key glass heart table and chairs and blush draping. Simply an epic unique decor.